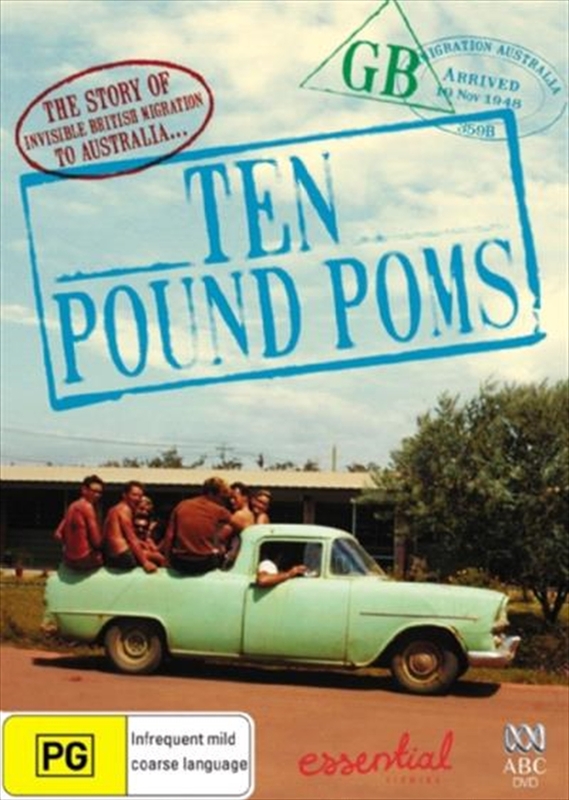 Ten Pound Poms is a classic one-hour social history documentary tracing the story of the Ten Pound Poms and their families from the post-war era through to the 1960's.In the thirty years following World War Two, 1.5 million Britons voluntarily migrated to the former penal colony at the opposite end of the earth. It was one of the largest planned migrations of the Twentieth Century.From all corners of the United Kingdom, these so called Ten Pound Poms shared the common dream that Australia was a land of sunny skies and boundless opportunity. They hoped to escape post-war rationing and stiff, class-bound British society. In truth they were moving to a foreign country far away from familiarity. It was a roll of the dice for all of them. After the initial sweat and tears of settling into a foreign land, most thrived and their children became true-blue Aussies. Yet for many, Australia was too much to bear. In time, over a quarter of them returned home, happy to turn their backs forever on the sun burnt country and land of endless plains.